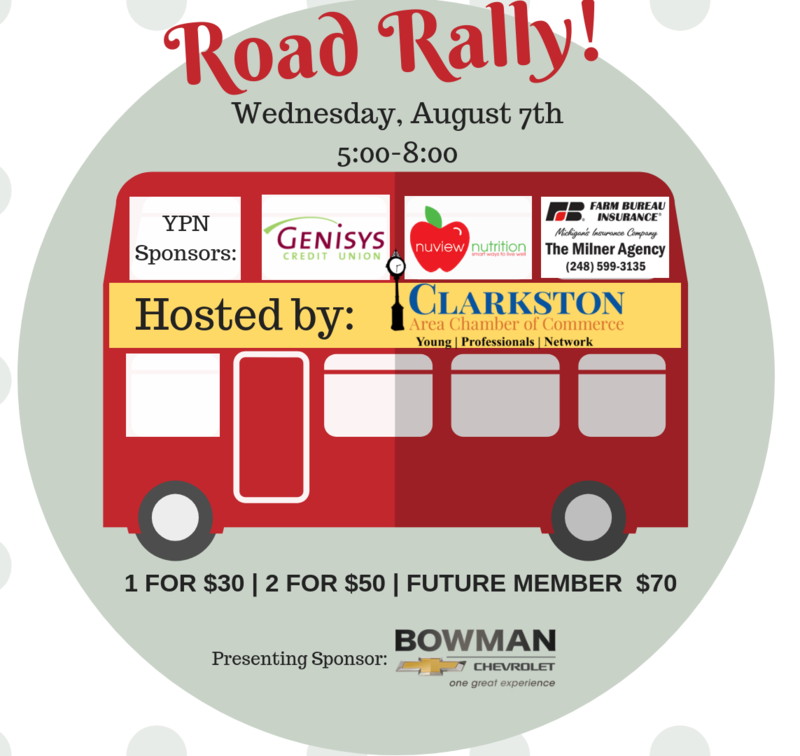 Join us for dinner, networking, and awards as we celebrate our valued Chamber members accomplishments! 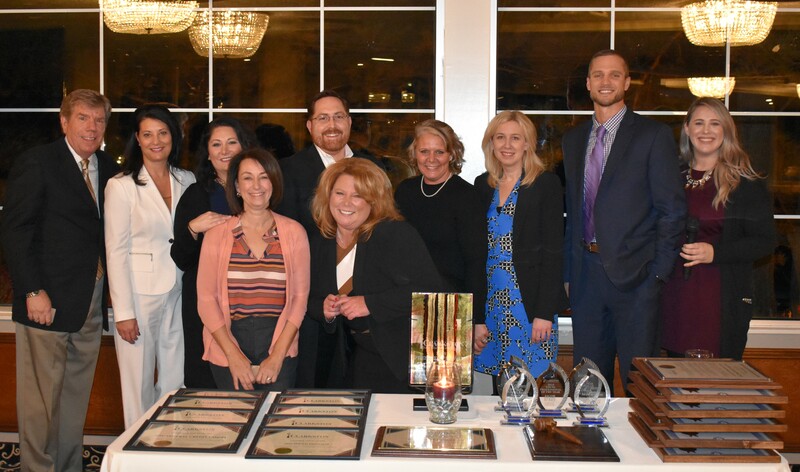 Witness the induction of Chamber President and Board of Directors. Held in November of every year. Business After Hours are held between the hours of 5pm-9pm multiple times throughout the year! Check out the BAHs currently scheduled in 2019!! 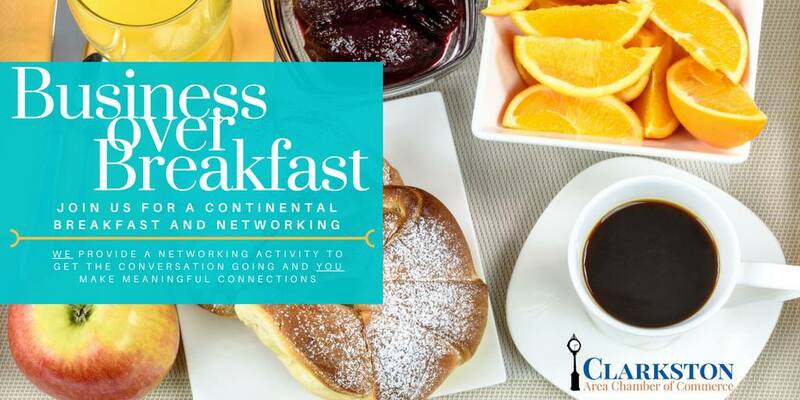 Join us for a delicious breakfast and networking! We provide a facilitated networking activity to start the conversation and you make meaningful connections! BOBs take place the second Thursday of each month. Join us of for 6 weeks of fun for the whole family! 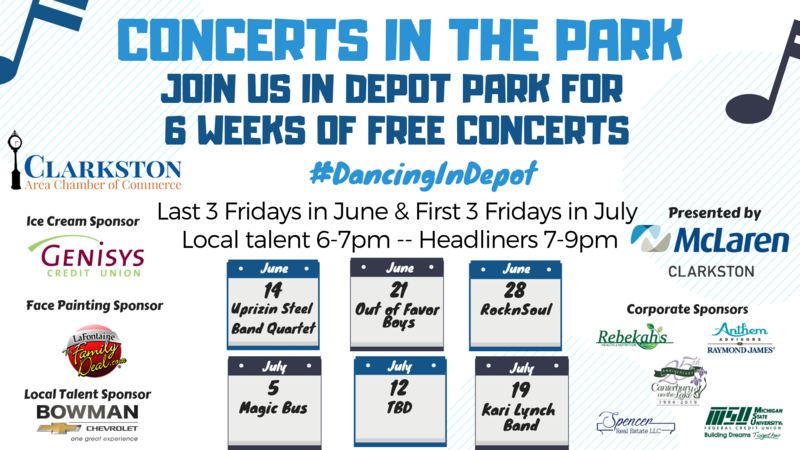 Enjoy local openers and headliners the last three Friday's in June and the first three Friday's in July from 6-9p. 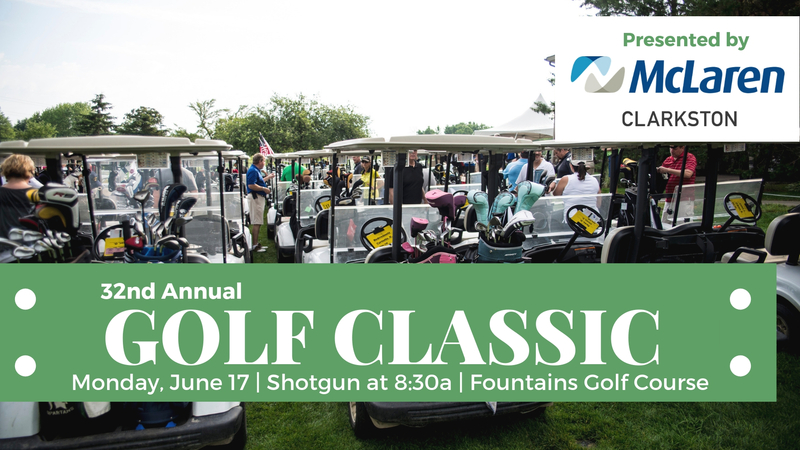 Join us for our 32nd Annual Golf Classic at Fountains Golf Course! Tickets include 18 holes of golf, Bloody Mary Bar, Strolling Dinner, and more! Join us for FREE family friendly holiday fun! Get a jump on holiday shopping while enjoying hot chocolate, s'mores, holiday lights, and so much more! Enjoy a delicious lunch while networking with other Chamber Members. We use reserved seating to help you make meaningful connection on a regular basis. Looking to connect with someone? Let us know, we will try to seat you at the same table. Held on the third Thursday ten times throughout the year! Join us for our Annual Murder Mystery Dinner, hosted by our Young Professionals Network! This is an after hours event that includes a professional show by the Clarkston Village Players. 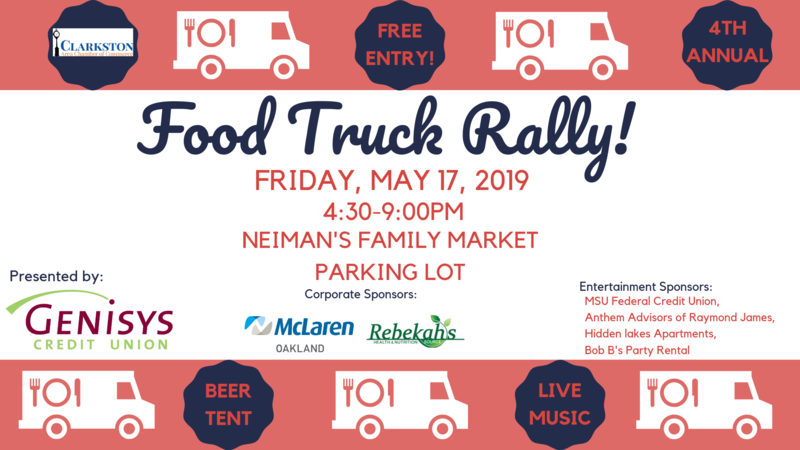 Tickets include professional Murder Mystery show, buffet dinner, drink ticket, professional facilitated networking, and free valet (provided by Bowman Chevrolet). 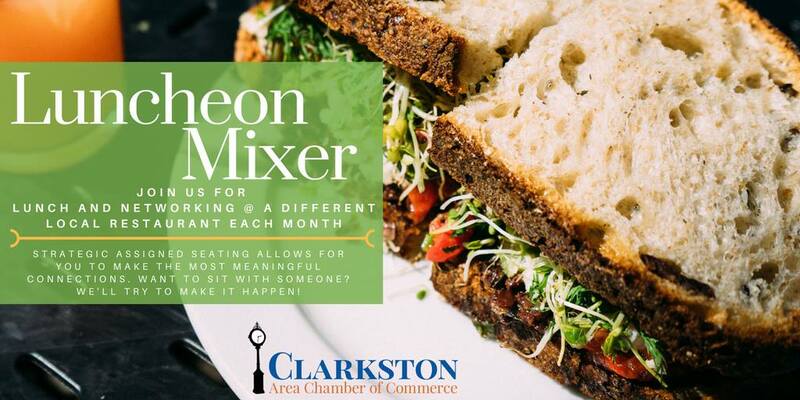 A two-part after-hours networking event dedicated to driving business in Clarkston! 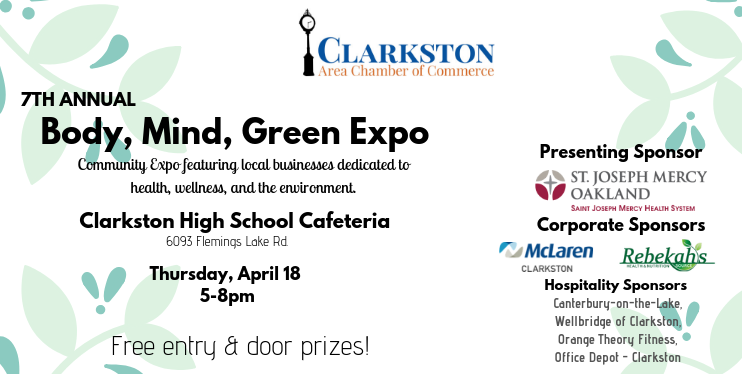 The Clarkston Area Chamber of Commerce, City of Clarkston - from the City Office and Independence Township Parks, Recreation and Seniors hosts this event for over 15,000 attendees! Taste of Clarkston will celebrate it's 22nd year in 2019. Join us to celebrate women in business! Women and men are invited to spend the day hearing from empowering speakers, enjoying a delicious Mimosa bar, lunch, participating in our table decorating contest, networking, and more. Stay tuned for a exciting announcements regarding our 2019 event!